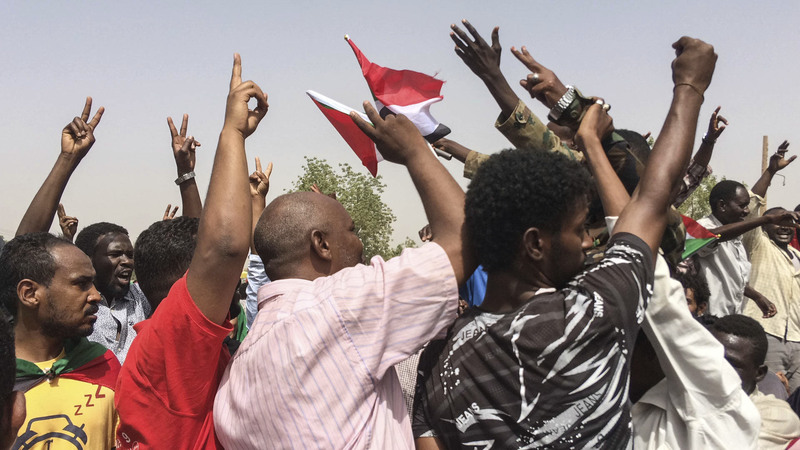 Sudan’s military has arrested President Omar al-Bashir, ousting him from power in the wake of escalating protests against his 30-year rule. The defence minister said the military will rule the country for the next two years with an emergency clampdown. The military control risks inflaming protesters. 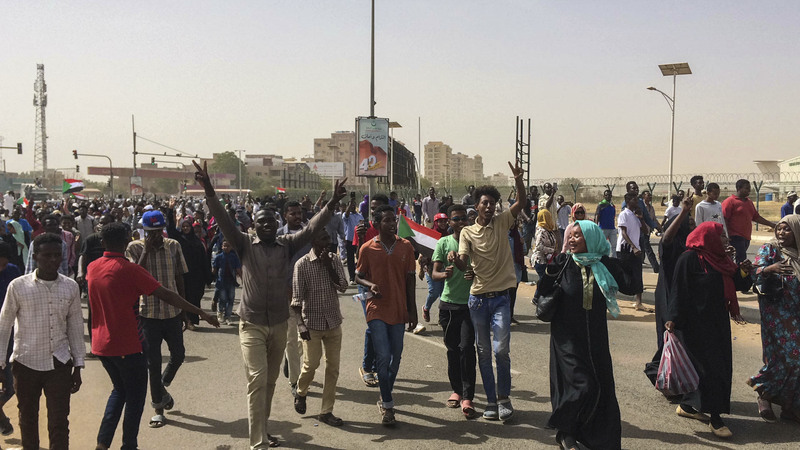 Tens of thousands of Sudanese converged throughout the day at the protest movement’s main sit-in outside the military’s General Command Headquarters in Khartoum, cheering, singing and dancing after word emerged in the morning that Mr al-Bashir would be removed. But the announcement that finally came appeared to confirm the fears of many protesters that the military would shrug off demands for a civilian transition. Defence minister Awad Mohammed Ibn Ouf appeared on state TV in military fatigues and announced that the military has removed and arrested Mr al-Bashir. He said a military council decided on by the army, intelligence agencies and security apparatus will rule for two years, after which “free and fair elections” will take place. The minister also announced that the military has suspended the constitution, dissolved the government, declared a state of emergency for three months, closed the country’s borders and airspace and imposed a night curfew for one month. Earlier in the day, protest leaders had said they were in talks with the military over a transition and said they would not accept a military coup, vowing to continue their sit-in and rallies unless a civilian body controlled the transition. Mr al-Bashir came to power in a 1989 coup, leading an alliance of the military and Islamist hardliners. Over the course of his rule, he was forced to allow the separation of South Sudan and became a pariah in many countries, wanted by the international war crimes tribunal for atrocities in Darfur. Security forces responded from the start with a fierce crackdown that killed dozens. 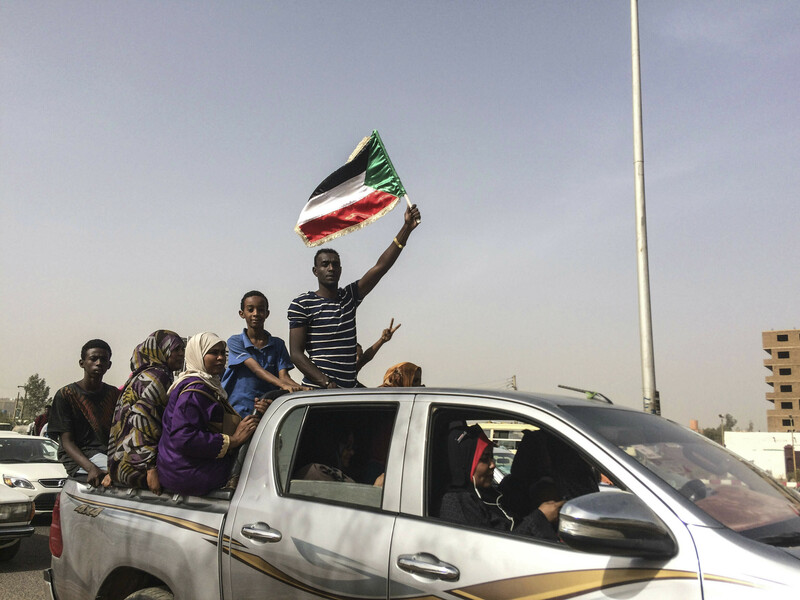 Mr al-Bashir had banned unauthorised public gatherings and granted sweeping powers to the police since imposing a state of emergency in February. Security forces have used tear gas, rubber bullets, live ammunition and batons against demonstrators.